Editor’s Note: This article appeared previously in E&MJ. Even though several of the examples are from hard rock mines, the technology is transferrable to coal. Surface-mine blasting technology has advanced at a steady pace, and improvements such as electronic blasting systems with vastly expanded delay-timing ranges and detonation capacities, new explosive products, and user-friendly blast-design software offer increasingly high-tech means to improve blast effectiveness. At the same time, drill rig performance and drill-string tool design have been continually refined by equipment vendors to provide the right tool for the job in almost any imaginable production drill-and-blast scenario. The irony underlying this progress is that a mine still has almost no control over one of the most dominant factors in its production sequence — the drillability and blastability of the material that has to be fragmented for processing. 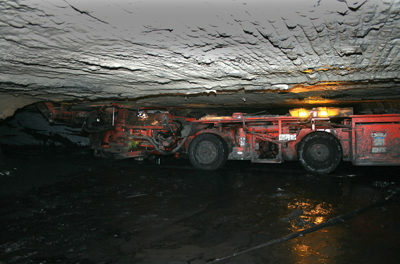 And not only is drill and blast planning constrained by geological and physical conditions in the pit; mine D&B teams are also pitted against equally steady improvements in loading and haulage fleet capabilities, in an ongoing challenge to provide blasting results that maximize fleet and downstream process productivity — at the lowest possible cost. In fact, cost is a constant common denominator in any calculation of blasting effectiveness. Although D&B costs typically represent only about 12% or less of total mining costs, the scale of operations at large mines presents opportunities for significant D&B cost overruns — and conversely, sizable savings. 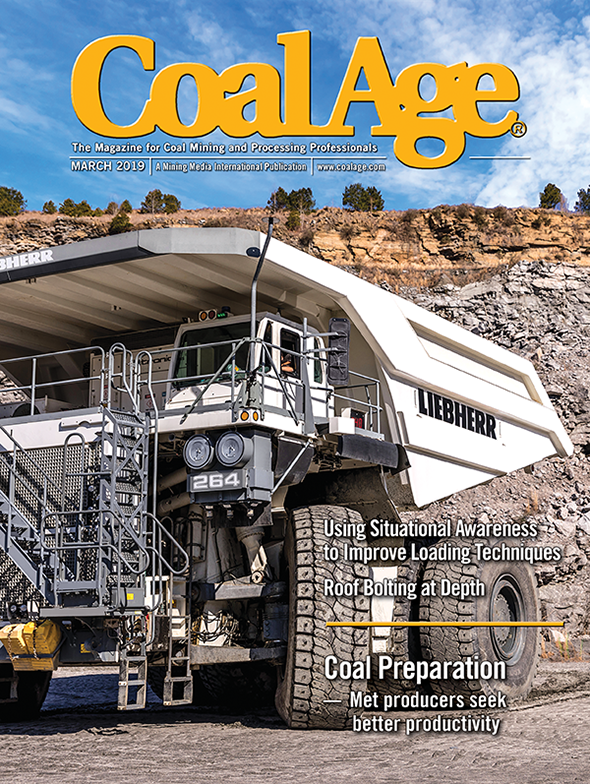 It’s important for an operation to know its actual costs for material breakage, and how they fit into the mine’s overall production costs, in order to identify legitimate money-saving D&B practices. According to a number of D&B experts, it’s surprising how many operations don’t have this information, and throw money and time at D&B initiatives that turn out to be duds. Basic considerations such as choice of explosives, maintaining intended hole spacing in drill patterns, and selection of correct delay timing are good starting points for blast-improvement efforts. 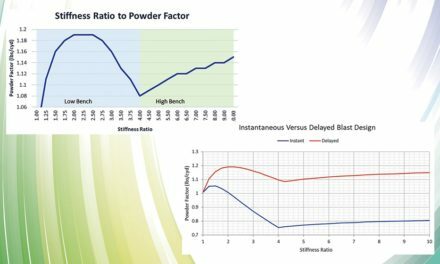 Another economical approach is to employ one or more of the many blast design and analysis software packages currently available, including those that allow pre-blast bench face profiling and post-blast analysis of fragment size distribution. Some of these solutions are modules in larger mine management packages from vendors such as Gemcom (now Geovia), Ventyx or Maptek, and others are stand-alone programs. Most are frequently updated to accommodate new technology and data-collection capabilities. As an example of a modular software product, the Drill and Blast module in Gemcom’s Surpac suite is designed to provide the user with improved design, management and reporting of blast patterns. Features include control over individual holes, creation of pre-splits, and drilling to either a fixed elevation or a DTM surface. According to the company, the module allows users to set pattern burden and spacing by rock-mass codes stored in the polygon of a string outline, allowing greater control over a blast involving different material types. For reporting purposes, each code may have a different specific gravity. The different codes can also be assigned different drilling costs per foot or meter, allowing greater accuracy in budgeting for drill and blast and more ability to anticipate areas of higher cost. The module includes the ability to generate a firing pattern for a blast and then animate the firing sequence. Users can view the animation and subsequently make changes in both the order and firing pattern before the pattern is released. Also, said Gemcom, while users in the past may have found it difficult to calculate the true volume of a blast until after the blasted earth was excavated, the module provides the ability to create a blast solid influenced by a cone around each blast hole and trimmed to any existing free faces. Reports generated from the module can provide clear indications of what is needed in terms of explosives, detonators and total cost estimates. Pattern setout reports are easily generated, containing hole name, northing, easting and elevation references. Mintec, citing a perceived industry need to expand and leverage the use of operational data at mine sites to provide deeper, more meaningful analysis, is getting ready to release its MineSight Performance Manager (MSPM), described as a new, stand-alone tool that leverages data gathered with Mintec’s MSAxis tools during the drill and blast, grade control, and production processes. MSPM’s functionality is broken down into components: MSPM Drill & Blast and MSPM Grade Control. MSPM D&B features tools for horizontal and vertical spatial location reconciliation, and explosive consumption tracking, as well as tools for fragmentation analysis and shot-by-shot spatial QA/QC, in addition to the advanced functions. The MSPM user is presented with a selection of useful dashboards, including a Shot Reconciliation dashboard, designed to allow the user to visualize and assess various components of a drill and blast design versus actual values. Aggregated values for a selected shot can be selected for analysis in addition to hole-by-hole values. Multiple shots can be selected and type and cost of the explosives for each shot can be compared. Specific products can be selected or deselected using a control in the column header. Both predicted fragmentation and actual fragmentation information (from particle size measurement systems) can be generated and analyzed. Planned fragmentation is affected by blasthole burden, spacing, explosive strength, geologic factors and blasthole diameter. Having the capacity to determine the expected rock size after blasting based on design parameters provides a strong basis for future designs. At sites that have fragmentation measurement systems (particle size distribution) and truck/shovel fleet management systems, MSPM allows for the correlation of P80 (80% passing size) with the measured shovel dig rate. Actual P80 vs. desired P80 targets show the performance of the fragmentation plan. Quality control can be performed on a shot-by-shot basis to determine the quality of the drilling and a score assigned on several factors. These factors include XY hole location variance, over drilling, under drilling and plugged holes. The overall aggregate variances are reported, and each individual variance displayed as well. The initial version of MSPM will focus on drill and blast reporting, analysis and analytics, with additional functionality being added to provide tools for block model reconciliation (e.g., grade control block model vs. resource block model), truck dispatch vs. block models, broken reserves, mined material, and mine plan compliance. Non-compliance to the mine plan can have major impacts on expenses paid and revenue lost. This is true not only in the short term, but non-compliance can also have negative consequences on the optimized long range plan, Mintec noted. Orica said the fifth generation of its SHOTPlus blast design software enables advanced design, analysis and optimization of blast plans. The new program, according to the company, provides extensive blast initiation design capabilities in several language formats and supports Orica’s pyrotechnic and electronic blasting systems. Links to its Advanced Vibration Management (AVM) online tool. Maptek claims its BlastLogic solution can increase drill and blast accuracy by harnessing automated validation and design tools with an intuitive 3-D interface. BlastLogic keeps an historical record of all drilling activity in a single, managed location and interfaces with supported third-party drill navigation systems. It can be configured to site-specific parameters, with preferred tolerances and thresholds established for the automated validation process, and a library of blast products and charge rules can be defined and maintained. Collar location and dimensions are updated automatically from drill rig navigation systems or field survey. Dip, backfill and charge sheets are automatically generated. Ruggedized tablets provide electronic data sharing in the field, extending immediate access to data. Site defined load design rules are applied across a pattern and can be further refined on a hole-by-hole basis. Video, photographs, documents, and scans associated with a specific blast activity are stored in the BlastLogic SQL server and easily recalled. 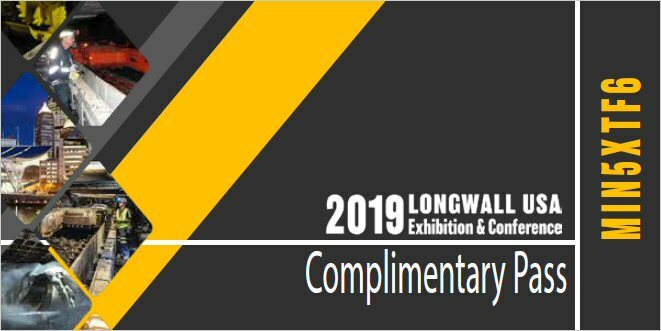 Overall, Maptek said, BlastLogic provides a standardized, repeatable and scalable process for single or multiple operations. DetNet, a 50:50 joint venture between AEL and Dyno Nobel, offers the ViewShot blast design software package, which allows firing plans to be designed and simulated on a computer, then downloaded with delay information from the firing plan to SmartShot and DigiShot Plus control systems. ViewShot, according to DetNet, offers support for sophisticated timing patterns, imports data from third-party planning software and provides blast design timing analysis and blast simulation, along with reporting and printing capabilities. Of growing interest to blast planners is the increasing capability — and availability — of simplified photogrammetric/stereo systems to profile bench faces and other terrain features of interest. 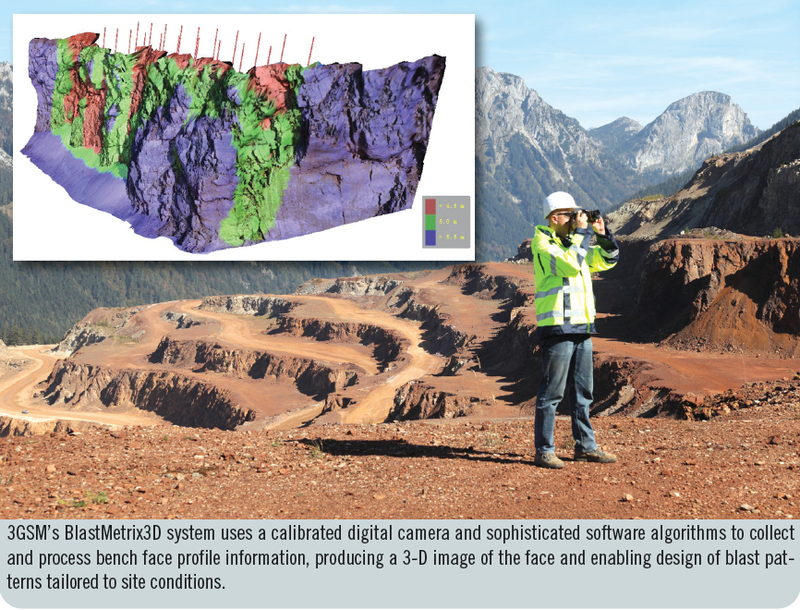 Enterprises such as Austria-based 3G Software & Measurement (3GSM) have developed systems that provide a highly automated workflow that begins with the simple task of photographing, say, a bench face from slightly different angles with a calibrated digital SLR camera. Then using sophisticated algorithms in the company’s BlastMetrix3D software to process the photos into a 3-D image, one can apply the resultant information to fit drill-pattern layout to the actual bench face geometry. In cases where larger areas or complex shapes extend beyond the information available from a single stereoscopic image pair, the area is recorded by several overlapping 3-D images. Using 3GSM’s optional BMX ModelMerger software, the multiple images are converted to a larger 3-D model based on common structural and topographic information in the original images. This feature has been used to profile large blast sites extending more than 2,500 ft, according to 3GSM. Once the 3-D image of a bench face is generated, users can employ BMX BlastPlanner software, entering basic geometric parameters such as burden, spacing or inclination of the boreholes, and allowing the system to place them accordingly. Each borehole is profiled, and hole locations are viewable in 3-D and plan view. Robert McClure, president of international blast engineering and consulting firm RAM Inc., explained how stereo-photogrammetric solutions can benefit users. “Front row burdens are one of the most critical blast design measurements. Boreholes with excess burden can cause high vibration, poor fragmentation and lower burden velocity. All of these can negatively impact the overall blast and cast/throw performance as well as final wall integrity. Light burdens can generate flyrock and high air overpressures creating safety and compliance issues. Stereo photogrammetry profiling technology provides an accurate, safe, and efficient way to profile the highwall and design an optimized blast pattern for improved blast performance,” according to McClure. McClure, whose company represents 3GSM in North America, said BlastMetrix allows the user to optimize the blast design. The front row burdens can be verified using the minimum burden view. Boreholes can be positioned to provide consistent energy throughout the rock mass, minimizing flyrock and air overpressures. Wall damage can be minimized by designing blast patterns with consistent pattern geometry and energy distribution. “The profile survey can be done quickly and remotely away from the highwall and crest. Ease of use and training make it an easy system to integrate into any operation,” he added. Another approach for designing more cost-effective blasts involves the study of blast movement dynamics — determining exactly how far material has been shifted from its original position after a blast. Initially developed about a decade ago at the Julius Kruttschnitt Mineral Research Center in Queensland, the concept was originally regarded as a grade-control tool for minimizing ore dilution. Because the potential value of ore lost to the dump through misidentification was so great, mining companies funded a research project to develop blast movement dynamic concepts into a usable product. Subsequently, Queensland-based Blast Movement Technologies developed systems and solutions to identify and present blast movement information, based on those earlier research activities. 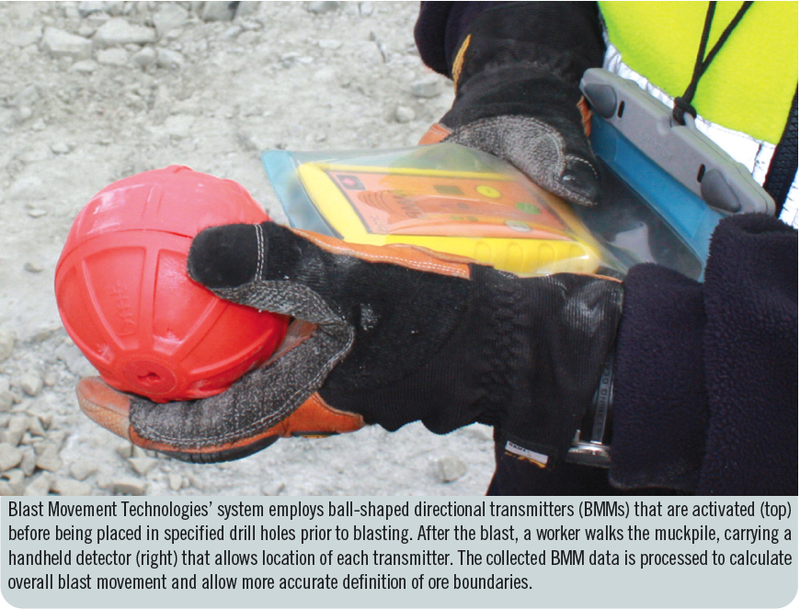 In BMT’s approach, ball-shaped directional transmitters (BMMs) are activated, programmed and installed in dedicated drill holes prior to blasting. After the blast, an operator walks across the muckpile, carrying a portable detector to locate each BMM and record the signal strength, which is later used by dedicated software to calculate the depth and the precise 3-D movement vector of each BMM. This information is then used to redefine ore boundaries to reflect the measured movement, thus enabling more precise selection of ore and waste after the blast. According to the company, the data is summarized and archived for later reference and over time the blast movement database becomes a valuable resource of information that can be used by blasters for optimization purposes. Beyond the obvious use as an ore dilution prevention tool, BMT said the BMMs can be used for additional purposes in D&B operations, such as finding the location of the toe of angled blastholes without need of other tracking equipment, finding and recovering stuck and abandoned bits after a blast, and identifying misfires in a pattern. Blast Movement Technologies recently announced it will release a new version of its BMM software that will include many new features, such as ore block import and export capabilities for most popular mine planning software packages such as MineSight, Surpac and Vulcan; and 3-D visualization of blasts and BMM movement vectors.